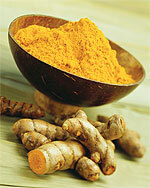 Turmeric is a spice derived from the rhizomes of Curcuma longa, a member of the ginger family. Curcuminoids are polyphenolic compounds that give turmeric its yellow color; curcumin is the principal curcuminoid in turmeric. Turmeric has long been used in Indian Ayurvedic medicine for the treatment of a wide range of health related conditions such as improving antioxidant status, inflammatory conditions, immune functions, and cognitive health. Preliminary research in people with arthritis found curcumin to be helpful in reducing inflammation and symptoms such as pain and stiffness. Based on this information, a recent study published in the Journal of Biological Chemistry (August 2011) looked into the affects of curcumin on the inflammatory process of tendonitis. Tendonitis can cause swelling, pain, stiffness, and burning around a joint which not only can affect movement but can also last for months depending on the damage and treatment. This study looked at the direct impact of curcumin on human tendon cells. Researchers found that the curcumin not only helped to reduce existing inflammatory markers, it also helped to reduce the initiation and promotion of inflammation. Though more research is necessary, this study supports the potential role for curcumin in treating inflammatory conditions, especially those in relation to tendons and joints. Can Red Wine Make Your Heart Healthier??? Over the last several years, moderate consumption of red wine has not only escalated but is encouraged primarily due to the acceptance of the medical community. This consumption has also met with approval of the general public as well, due to the widely excepted benefits of red wine. Wine polyphenols, such as resveratrol, have been credited with those health benefits related to red wine use. These polyphenols have been shown to be effective in reducing the occurrence and damage of free radicals, decreasing the risks of heart disease, increasing the death rate and destruction of cancerous cells, and improving the outcomes of other health conditions and concerns. The mechanisms by which wine polyphenols perform their activities have not been fully indentified, and those that have been are not completely understood. A study published in Food Research International investigated the effects of red wine polyphenols on the rate of oxidation of omega-3 and omega-6 fatty acids in the blood, in addition to their abilities to neutralize free radicals. Free radicals are both a cause and a result of fatty acid oxidation, creating a vicious cycle that can have far-reaching health affects. This study showed that red wine polyphenols appeared to protect fatty acids from oxidation, especially the omega-3 fatty acids EPA and DHA, and in doing so also reduced and controlled the production of free radicals. By identifying this process, researchers believe that they may have found one mechanism through which these polyphenols provide anti-inflammatory benefits to the body. By protecting and retaining healthy fatty acid levels, polyphenols influence the actions of those fatty acids, especially omega-3’s, which have been proven to influence healthy cholesterol levels and heart functions, vision and eye health, cognitive health, blood circulation, joint health and comfort, and much more. 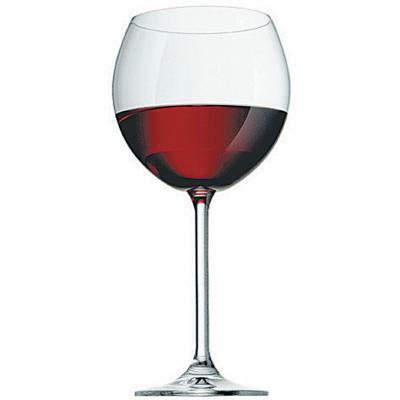 Consuming red wine has often been seen as a pleasurable, as well as a social activity. Most individuals have never or will never think of this activity as doing something healthy for their body. Dietary habits that encourage wine consumption, such as those of the French and Mediterranean lifestyles, support the notion that wine provides beneficial components that can improve the quality of life. Research on wine consumption, as well as supplements that contain wine-related polyphenols, appears to be primarily positive and continues to grow.